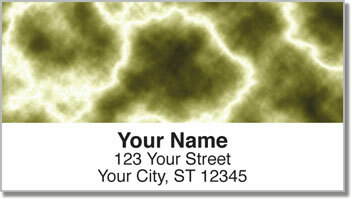 Stick something electric on your outgoing mail to make a striking statement! 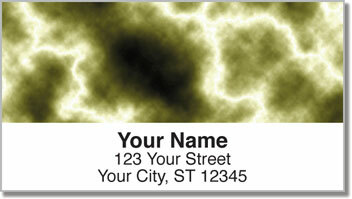 This return address label design features stunning photography of lightning streaking through the sky in the middle of a massive thunderstorm. Lightning can be classified in a variety of ways. What you see on this selection is known as spider lightning or lightning crawlers because of the way the bolts stretch through he clouds. Looks aren't the only thing that make these labels powerful. Use them to save quite a bit of time when preparing your outgoing mail. 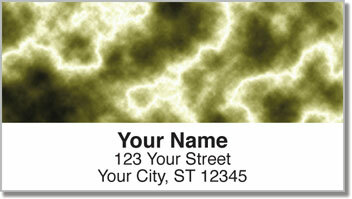 A self-adhesive backing lets you peel and place your return address with lightning speed! 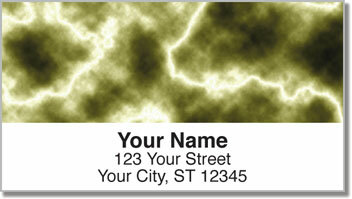 Order your own Lightning Address Labels right now! You can also get matching personal checks.